Welcome to the Everyday Graces Homeschool Ambassador Affiliate Program! 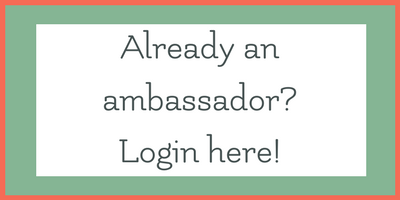 Thank you for your interest in joining our Ambassador Affiliate program. Our products are geared toward Charlotte Mason/Classical/and Eclectic homeschoolers. We have many fun and engaging resources, but they do appeal to readers in this specific demographic. Not all but many of our products also have a Christian bent to them including the Complete Charlotte Mason Homeschool Planner, A Gentle Advent, My Book of Centuries, and all Scripture Journals. If our delightful products sound like something your audience will enjoy, we are excited to have your application! We want our relationship to be beneficial to all our Ambassador Affiliates so we aim to have a small group that will be stellar advocates for our products who will benefit financially and in their homes through our opportunity. ​​​​· First click, 180 day cookie. Orders and affiliate payments can be tracked through the corresponding tabs at the top of your Affiliate dashboard. We have created a tier reward system to benefit higher performing affiliates. All affiliates begin on the Daisy level of the tier system. From there, they can earn promotions to higher tiers as they drive larger amounts of overall sales through the website. These promotions are tallied at the end of each quarter (March 31st, June 30th, September 30th, December 31st) at which point each affiliate is moved to the corresponding tier, where you will remain for the entire next quarter. · You will have access to a single downloadable product you would like from our shop monthly. It’s yours forever and you can select a new product as soon as the next month begins. We want you to have time to use and explore the product before having a file full of downloads you haven’t tried yet 🙂 *please note, all products under “Homeschool Mom Gear” are our designs on Amazon or Zazzle platforms and are not eligible for our affiliate program. · Social media promotion of your posts containing Everyday Graces Homeschool products across our social media channels. · Product images, pinterest images, and more provided for you to easily share our products with your readers. · Quarterly contests for special prizes. · Exclusive week long sales, depending on your needs and arrangements—this means that you’ll have an exclusive on a specific sale coupon code just for your readers. · A minimum of 1 social media mention a month. We will be re-sharing these and a document will be kept in the Facebook ambassador group for ease of keeping track. Our goal with this is to help you succeed with our affiliate program! · A minimum of 1 e-mail feature (not dedicated) per quarter. A mention with your affiliate link is fine. We want your readers to click your link and set those cookies! · A minimum of 2 related blog posts a year (these don’t have to be reviews or sponsored posts, we just want you to work in a mention of at least one of our products to keep your affiliate cookie active). This could also be a guest post about our product that you post on our site with your affiliate link included. · Participation in the Ambassador FB Group (pretty please, this really does help us keep everyone updated. We will send out e-mails as well). Please note that if we see no referral or sharing activity for 181 days we will need to move your status to inactive. We are intentionally keeping our group small so we can help our affiliates be successful and we need to have engaged affiliates for that momentum to continue. Thank you! We’re capping the Ambassador group at 30, so if you’re reading this and you’re thinking it’s not a good fit, we appreciate your time reading all this and considering us. You can use the code “ThankYou” to get 10% off any item in the shop!